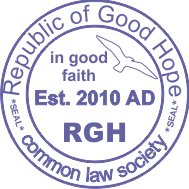 The Republic of Good Hope is a common law society offering an alternative to other republics, nation states or countries. Most of the latter have been incorporated, corporatized and/or turned into corporate businesses, registered with the USSEC and trading in a casino-like fashion on various stock exchanges, not for the benefit of the people. Governments of such corporate countries are sometimes registered as separate corporate entities. The current system is no longer based on the will of the people, but fully owned and controlled by private banking cartels and their numerous tentacles, like multi-national corporations and thousands of underhanded lobbyists, stuffing and lining their pockets. Over the past few decades, a system of debt slavery has been established. Almost all 196 countries are highly indebted, none of them ever able to repay or settle such debt under the current conditions. This is not the result of circumstances but a well-orchestrated and executed plan, deliberate and by design. As more and more people become aware of this malicious and sinister plan, they are looking for ways out as well as what got us into this situation in the first place. Due to our biological parents’ ignorance or lack of knowledge, we were registered into this corporate matrix shortly after our arrival on earth. From then on we contracted forever deeper into the system of fraud and deception, for the most part unknowingly, at times a little reluctantly, but simply because we didn’t know any better. Now, after decades of being traded as human collateral and treated like a corporate entity, we realize how strong the attachment and conditioning has grown, how difficult it is to undo, exit or opt out. RGH is a tool to facilitate such liberation and peacefully remove ourselves from the soulless, fictitious and corporate matrix of statutory, civil, maritime and admiralty law, back to a more organic, simplified and shared life on earth. Common, customary, tribal and natural law have almost been forgotten and the corporate matrix-masters are busy trying to eradicate whatever remains of it before people remember, step into their power and reclaim themselves, their estates and agency. 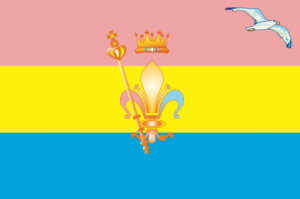 Essentially RGH is nothing but a concept or idea, just like any other republic or society, all of which would cease to exist without their people or members. If all people, acting as citizens of RSA, decided to leave and rescind that citizenship today, what would happen to RSA? A republic is not the land, neither is a country or a nation. No matter who its occupants are, the land remains, it can be named or renamed. In the same way that we do not come with names attached, the land has no name – whether it is fenced off or not. In this sense, RGH is just another nation of people, non-territorial, sojourning on the land commonly known as southern Africa, but not bound to it and free to move. Every so often RGH members face the question: “Where is this Republic of Good Hope?” Most people assume a republic to be a physical place with territorial borders and all the rights, duties and constitutions that are commonly associated with republics. This is due to misunderstanding terms such as country, republic, nation, state, territory, homeland and the like. The answer often cited is: “The Republic of Good Hope is everywhere!” In other words, it is in our hearts, our minds, wherever our feet travel and do no harm. It is a state of mind. It is akin to a tribe or nation of people who have agreed to live by a certain set of customs but are not restricted to a specific area. In light of the ‘official’ dual and conflicting jurisdictions in South Africa, people within the Republic of Good Hope are roaming and sojourning the same lands as citizens of RSA. Potentially RGH could become an International Independent Recognized Sovereign Neutral Nation and State – if its members so desire – like the Southern Cherokee Nation and Red Fire People (SCNRFP) and many other tribal, native or first nations. Whether recognition from UN, NATO or other corporate states is desirable or not, it is the people of a nation, most importantly, who manifest and recognize it. Why RGH? Why go through all the trouble? At this point, it is important to refer to some substantial work done by UZA (Unified Common Law Grand Jury of Southern Africa) since 2013 and some other truth-seeking initiatives. People of RGH are not doing this to be spiteful, difficult or contrary. It is simply the law of necessity that compelled us to travel this path. For many years, we the people have been asking governments a set of simple and valid questions regarding finance and reserve banks, birth certificates, legal names, the judiciary and jurisdiction. All of them remain unanswered to this day. It is thus our duty and responsibility to act, because bad things happen when good men do nothing. For more documented information visit Gift of Truth. Due to this lack of response – sometimes due to ignorance, complicity, admission of guilt or plain threats (we know of various judges and government officials who have received phone calls involving their family members) – we the people who freely elect, chose to leave the Republic of South Africa and enter the Republic of Good Hope, until such time we will have a day in court, constitute an impartial tribunal or facilitate a truth and reconciliation commission. If the people truly created government to oversee and manage certain aspects of their lives, it is the people’s responsibility to maintain checks and balances on that government. If this government veers off its path, violates its service to the people or is guilty of treason, it is the people’s right, duty and responsibility to seek remedy, redress and recourse. This can be achieved either by reprehending, transitioning or revoking such government altogether. It will not be achieved by creating or electing yet another registered political party, but only by a body of people, separate from the government and its executive, legislative or judicial branches, forming common law grand juries or similar impartial, unbiased and neutral councils.